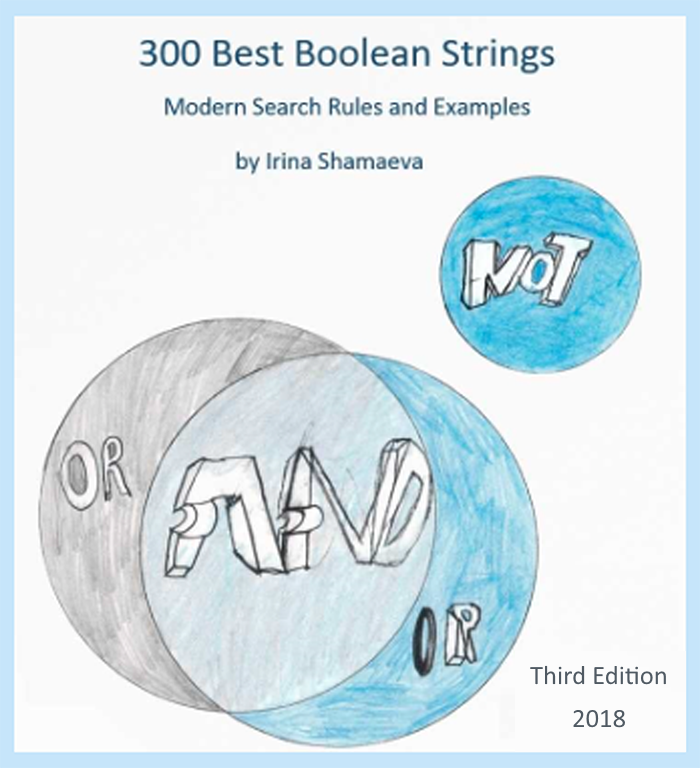 I am excited to announce that the 3rd edition of the e-Book “300 Best Boolean Strings” has been released. To prepare the new edition, I went through the 300 strings in the previous version and removed about sixty that were no longer working. I also dug into my Google search history and added multiple strings to the book. I got carried away a bit – the new edition contains almost 400 strings! The Boolean Strings in the Book can be considered as examples, for the reader to explore the possibilities of searching and understand what each search brings and why. It’s not a phrase book, but it will help the reader “speak” Boolean. Here is a random sampling of some Boolean Strings from the Book, particularly those that find resumes. Just paid. I’m guessing it’ll turn up in my email in the next day or two?